Anyone who has ever spent at least a weekend at Lake Balaton knows that no trip to the “Hungarian sea” is complete without a taste of some of the retro vibes that are in, some ways remnants of the Communist era: this “feeling” is perhaps most strongly expressed through the food and drink sold by lake-side stands, including the fried hake, Traubisoda, and ice cream. 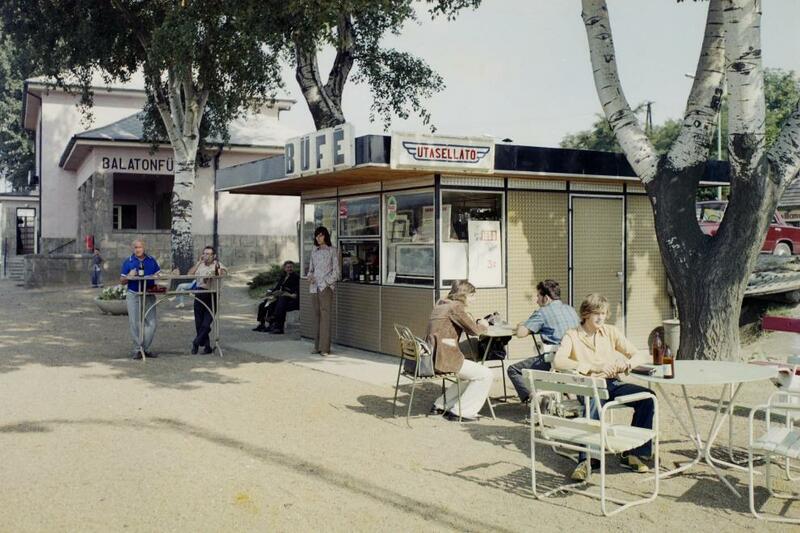 But what was the Balaton really like in the 70s and 80s? In reality, most of the items that commonly pop into one’s head, together with the tiny, oil-scented snack bars that served them, almost disappeared during the era of Soviet-style annual planning and controlled economy in Hungary. The price of the ice-cream, for example, stayed the same for almost 30 years, while ingredient and labor costs grew more and more: in response, ice cream traders started to use tricks to save money. They either started to lower the quantity or the quality of their products, by leaving out the milk from ice-cream and using water instead; in addition, the use of ice-cream powders also spread. 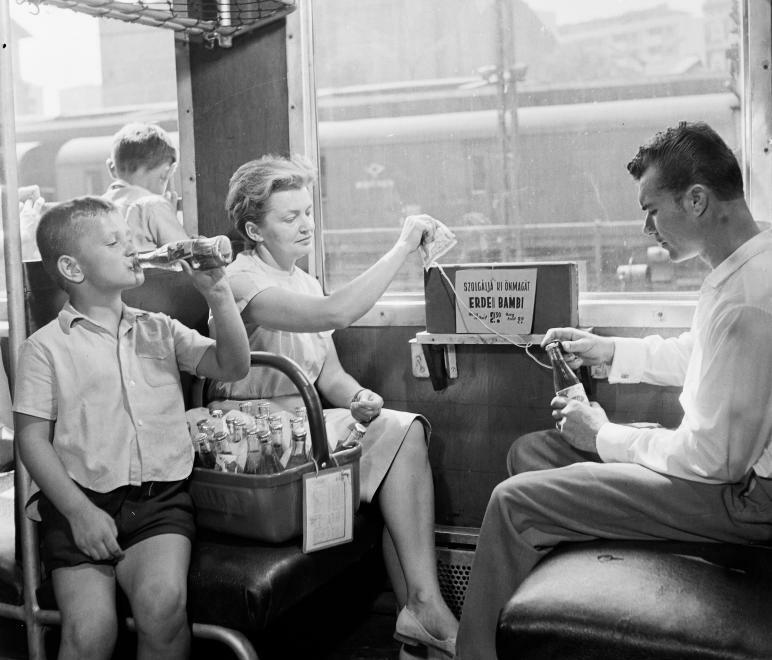 This was the time, when the first ice pops (or popsicles) appeared on the market, first in imported versions, then domestically made ones. These were not only cheaper to produce than ice-cream, but they could be stored for up to two months, while customers were willing to pay three times more for them. 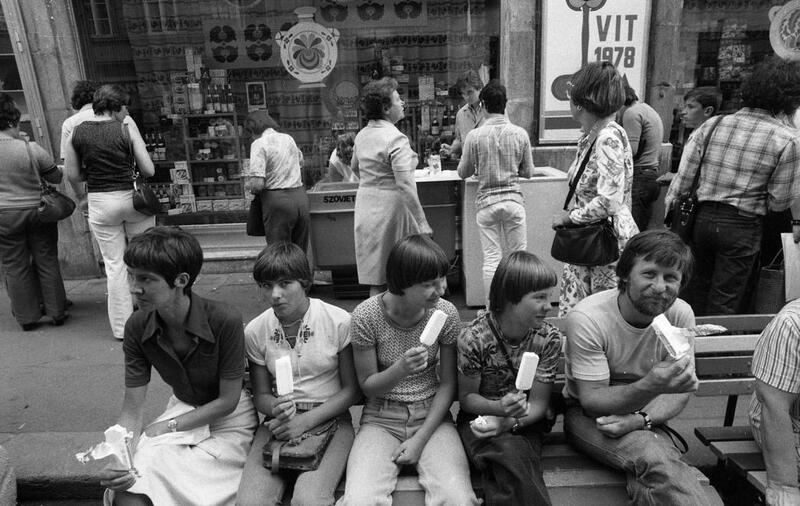 By 1980, Budatej, one of the two Hungarian companies who had started to make ice pops, was producing 60 million of these sugary snacks per year, and a whole country get to know the name ‘Leo’ and the popular ad with the slogan ‘Hello Leo’. Did you know that lángos almost disappeared from the Balaton in the 70s as well? The most well-known Hungarian beach food spread in the 1920s, when the “Hungarian sea” became the most popular holiday destination after the country lost Opatija (a town in coastal Croatia) as a part of the Treaty of Trianon. At the same time, the small buffets and kitchens of the capital popped up by the lake as well and started to sell lángos, hake and other beach foods. In the fifties, Lake Balaton was almost unimaginable without these. 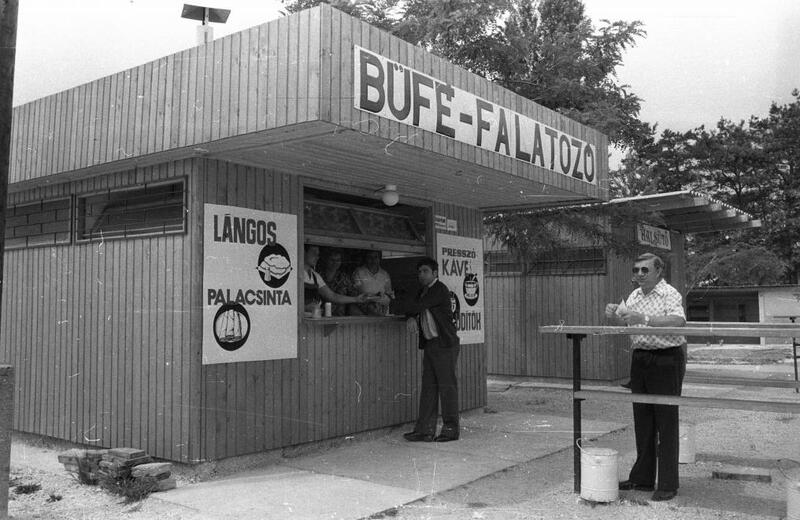 However, although the lángos, hake and beer were all sold at unbelievably high prices for Hungarians and western tourists, the 3-month long Balaton season was not enough to support the buffets. In the 70s, a shortage of lángos and buffets started at the lake, and hundreds of holidaymakers queued in front of the remaining ones. The problem grew so big that leaders of the state had to find a solution for it. 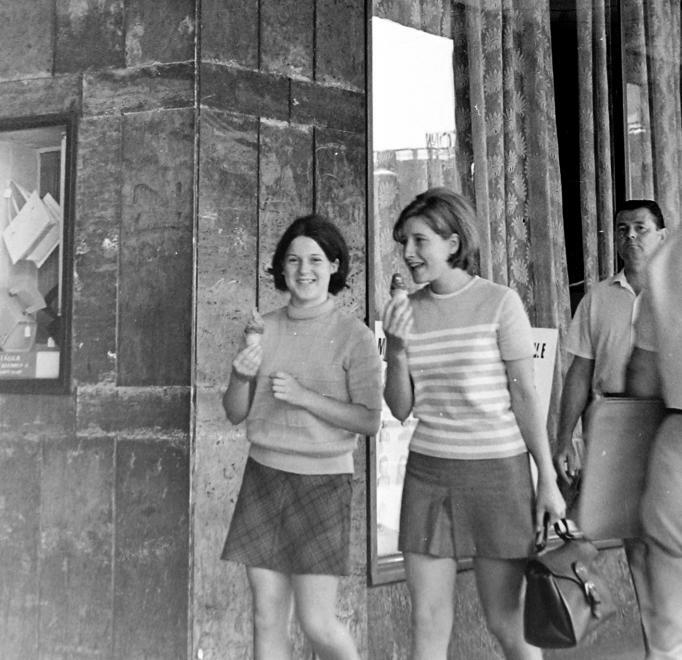 In many places, such as in Siófok, Füred or Balatonboglár, the so-called SZOT (National Council of Trade Unions) resorts and canteens, run by the state, started to sell these snacks as well, and the state even offered discounts for people selling snacks at the beaches. Back in the 1940s, almost 50 species of indigenous fish lived in the Lake Balaton, but thanks to fishing and and environmental problems, many died out. Forexample, in 1965, the famed Zander and Asp died out because of pesticides, and the number of fish species dropped to 10-15 by the 80s. A couple of years ago, the press reported on the fact that fried fish sold at Lake Balaton are actually not indigenous and domestically-breed species, and that hake is actually imported from Argentina and Africa to the tables. Although it was surprising for many, this was never a secret, as hake is actually not a freshwater fish, and originates from the Mediterranean Sea. This species spread in Hungary in the socialist era, as it could be stored frozen for weeks, had a neutral flavor, and was easy to prepare for holiday-goers, not to mention that it was much cheaper than tuna. So, hake became the number one buffet food at Balaton resorts – but unfortunately, it still could not save the native species of the lake. Nowadays, there are efforts to restore Balaton’s natural wildlife, and for this reason commercial fishing on the lake is currently forbidden. 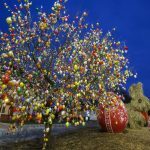 Looking at the drinks of the golden Balaton days, everyone has heard about Bambi, Utasüdítő or Almuska and not surprisingly, in the 70s, average soft drink consumption was only 4 liters per year. 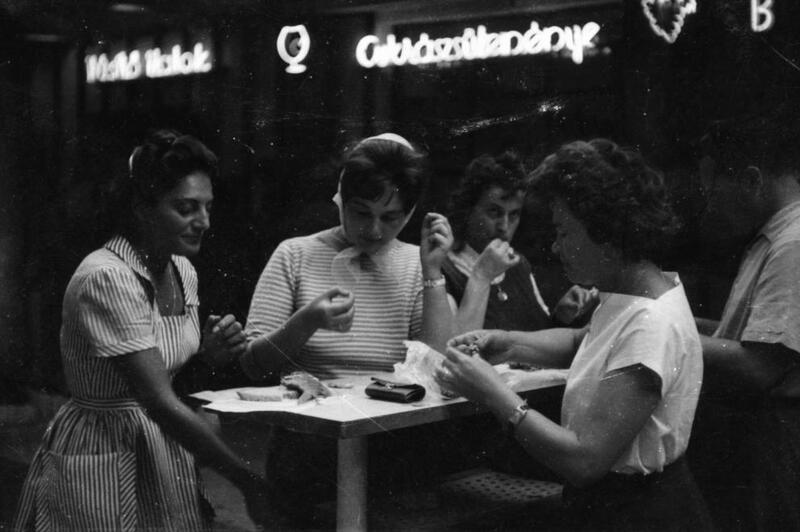 However, holiday-makers could also taste western soft drinks at the Balaton, while eating the “most Hungarian” fish, hake, which was actually imported from Argentina. To revive the market, Hungary brought in western products and bought the licenses, which they paid for in-kind over the course of years. These Hungarian-made soft drinks were all made of concentrates, except for the grape and apple flavored ones. In 1971, one of the most popular products, Traubisoda, was announced, and soon became part of 80s culture. It was at this time that soft-drink consumption increased by 10-fold, to 40 liters a year. 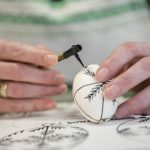 However, the license fees were high and the state announced a Hungarian brand, with Hungarian ingredients, under the name Márka, which literally means ‘brand’ in Hungarian. 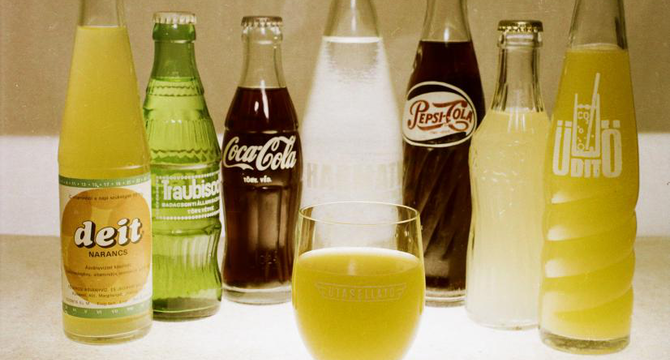 At first, the apple and grape-flavoured drinks were made from domestically grown fruits, but later on – especially with the most popular sour cherry and raspberry flavor – they had to replace it with Yugoslavian ingredients, and they also introduced exotic fruit flavours, such as orange, mango and pineapple.